I’m making trip #2 to St. Andrews this July. Can’t wait to get back to the auld grey toon (old gray town). I’m rearranging my 502 deep golf book queue to move An American Caddie in St. Andrews: Growing Up, Girls, and Looping on the Old Course to the front of the list. 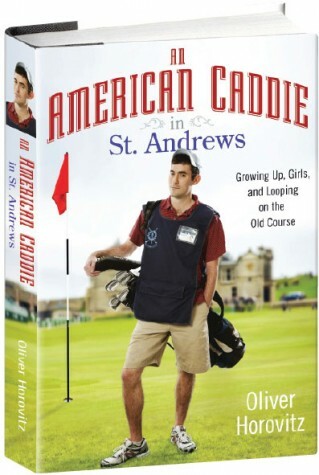 This is a book written by an American New Yorker who I’m going to go out on a limb and say is Jewish (Oliver Horovitz), who caddies at the Old Course. How could this not be interesting?